"Those with the greatest power protect those without. That's my message to the world." That is a brilliant quote from James McAvoy in X-Men: Apocalypse, the best X-Men film yet. McAvoy reprises his role as Professor Charles Xavier, who has the power to read minds, & still runs his mutant institute in New York in 1983. Raven Darkholme, AKA Mystique (played by Jennifer Lawrence), who has found a new recruit for Xavier in East German Kurt Wagner, AKA Nightcrawler (played by Kodi Smit-McPhee), who has the power of teleportation. Alex Summers, AKA Havok (played by Lucas Till), who has the ability to absorb energy & release it, has also found a new recruit in his younger brother, Scott Summers, AKA Cyclops (played by Tye Sheridan), who has the ability to shoot optic beams from his eyes. Scott takes a liking to fellow mutant Jean Grey (played by Sophie Turner), who is fearful of her telekinetic & telepathic capabilities. Also with them are: Dr. Hank McCoy, AKA Beast (played by Nicholas Hoult), a mutant with superhuman abilites & lion-like attributes; Peter Maximoff, AKA Quicksilver (played by Evan Peters), who has the power of super-speed; & CIA Agent Moira McTaggart (played by Rose Byrne). However, they must face an epic villain: the long-dormant En Sabah Nur, AKA Apocalypse (played by Oscar Isaac), & his Four Horsemen: Ororo Munroe, AKA Storm (played by Alexandra Shipp), who can control weather; Angel (played by Ben Hardy), a mutant whose wings can become razor-sharp projectiles; Psylocke (played by Olivia Munn), who also has telekinetic & telepathic abilities; & Erik Lehnsherr, AKA Magneto (played by Michael Fassbender), Xavier's former friend, who can control magnetic fields. The cast, especially McAvoy, Fassbender, Lawrence & Turner, was excellent. 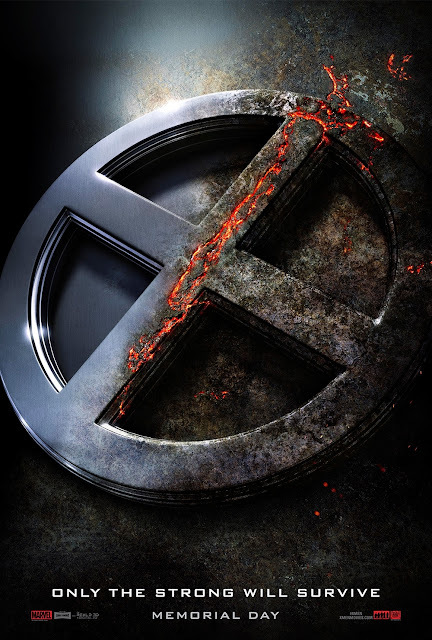 Bryan Singer's direction was great, & the screenplay from Simon Kinberg was great as well. The editing from John Ottman & Michael Louis Hill was brilliant. And the visual effects were stunning, giving way to excellent fight scenes. This is definitely one of the best superhero movies of 2016, in a year where Marvel movies have truly reigned supreme.